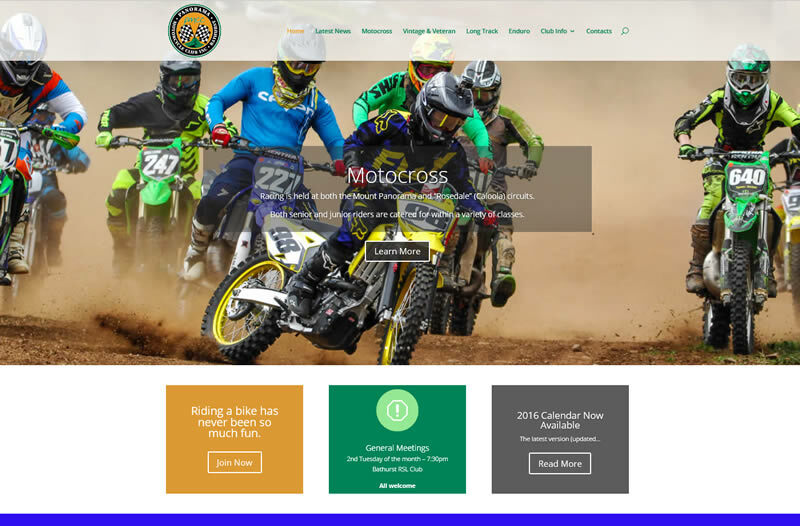 Panorama Motorcycle Club website built by Net Maintain. The Panorama Motorcycle Club includes disciplines such as motocross, longtrack, vintage and veteran, enduro, and ride days. Each section of the club was allocated space on the website to promote their discipline. Club news and events as well as membership and joining information was also included. Race results from events held during the year are posted by the website coordinator. Photos of races and other outings have also been included to enhance the visual appeal of the website. Custom sliders have been used to allow a range of images to be used for each section. Visit the Panorama Motorcycle Club website by clicking here. Re-design old website and include user management tools. Focus on imagery.